The Samsung Galaxy Note 9 launch is happening and if you are looking to watch the Samsung Galaxy Unpacked event live, the show where the much-hyped new technology will be unveiled, then you've come to the right place. That's because you can watch the Samsung Note 9 live stream right here (see LIVE video below). We've also got links to all the Galaxy Note 9 details that are already confirmed (it's a lot!). We've also got the official Samsung Galaxy Note 9 launch teaser video, which gives you a tantalising glimpse of what to expect at Samsung Galaxy Unpacked, the official low-down on Galaxy Unpacked pre-registration, as well as the hottest takes on two other pieces of hot tech we're expecting to see more of, the Samsung Galaxy Tab S4 and Samsung Galaxy Watch. Simply browse through the Samsung Galaxy Note 9 launch categories to find the Note 9 live stream and much more. 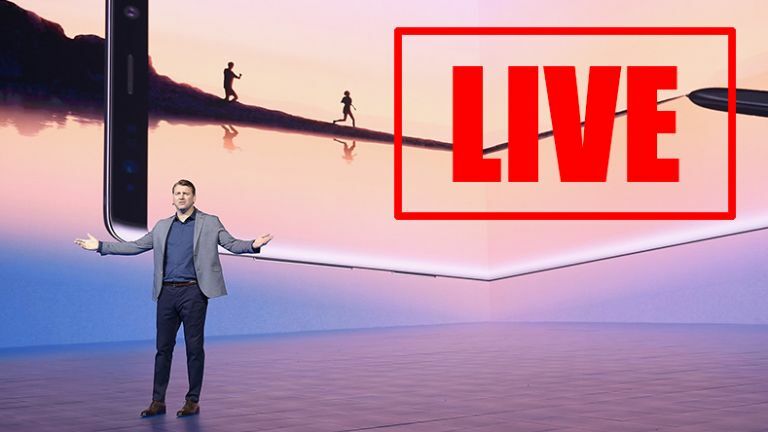 Watch the Note 9 live stream video here (click video above). The entirety of Samsung Unpacked is also going to be available to watch online over at samsung.com on August 9, 2018, at 4pm BST (11am EDT). The event itself is taking place at Brooklyn's Barclays Center. Samsung already has a dedicated Galaxy Unpacked page live in its news room, too, where additional information about the launch can be found. Samsung's official Twitter account will be covering the Galaxy Unpacked event also, so we suggest checking in there as soon as the live stream begins. To watch the live stream you need to be using the latest version of Chrome or Internet Explorer 11. If watching via YouTube, you will need the latest version of the app. While you wait for the Samsung Galaxy Note 9 live stream to go live, though, you should watch the official teaser video for the new phone, which can be found below. Sign-up now to get in first with the Samsung Galaxy Note 9, Samsung Galaxy Tab S4, and Samsung Galaxy watch. The official invitation for Samsung's Galaxy Unpacked event went out weeks ago and invites both the press and public to watch the Samsung Galaxy Note 9 launch via an official live stream on samsung.com. The only other information on the official Galaxy Unpacked invites, which were disseminated via Twitter, is that the event will take place on August 9 and that Samsung says that "Change is coming August 9th 2018. Can you keep up?" We're expecting to see three new Galaxy products at Samsung Unpacked 2018. The first of these is the Samsung Galaxy Note 9 smartphone. And, as we mentioned above, there is very, very little we don't now know about this handset. From its codename, which was Crown, through to the taken off the back of an official Note 9 box full hardware specifications, and onto how its next-gen S Pen digital stylus works, we've basically got the full Note 9 picture. Heck, we even know the Note 9's battery size, price in certain territories, and on sale date, too. As well as the fact that Verizon looks like it is going to offer an amazing Buy One, Get One (BOGO) pre-order offer on the Note 9. The next device we know we'll hear about is Samsung's new tablet, the Samsung Galaxy Tab S4. The Tab S4 has already been officially unveiled, so we know that it is going to retail for £599 in the UK for the Wi-Fi model, and £649 for the LTE model. We've got a full review of the Tab S4 coming up, too, so be sure to check back in to T3.com soon for our full impressions of the new slate. On paper, though, the Tab S4 looks very strong, with a 10.5-inch Super AMOLED 16:10 screen with a resolution of 2,560 x 1,600 partnered with Qualcomm Snapdragon 835 processor and 4GB of RAM. In built Samsung DeX also appears right now to be a game changer for the product line. And, finally, the third device we're expecting to watch on the Note 9 live stream at Samsung Galaxy Unpacked is the Samsung Galaxy Watch, which looks set to go head-to-head with the Apple Watch for the smartwatch throne. We don't know quite as much about the Samsung Galaxy Watch as we do about the other two products, however a leak on Samsung's official store, which mistakenly listed the product a couple of weeks back, indicated at least one variant will be a 42mm rose gold model. Recent reports also indicate the Galaxy Watch is going to be available to buy very soon, too, so we definitely have high hopes for the full picture being delivered at Samsung Galaxy Unpacked 2018. So, to get the full picture on the Samsung Galaxy Note 9, Samsung Galaxy Tab S4, and Samsung Galaxy Watch, be sure to watch the Samsung Galaxy Unpacked live stream with us at 4pm BST (11am EDT) on T3.com.